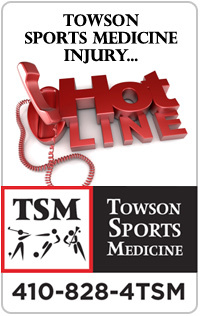 Please tell us what you think about our Towson Sports Medicine specialists, support staff, or facilities! Disclaimer: By submitting a review of Towson Sports Medicine staff &/or locations, you agree to allow us to post the information on this website. Your name will be converted to first name, last initial prior to posting. There will be no monetary compensation for reviews and TSM reserves the right to hold reviews for further inquiry. Posts received during regular business hours may require 1-2 days for processing purposes. Posts received over weekends and holidays will be processed on the next available business day. Please contact us to remove reviews. Thanks TSM Ortho & Spine! As they become available, reviews will be posted to the appropriate staff member or location pages with a few examples below. Please see our (top) menus to navigate to those staff/location pages.